Greater Raleigh is modern in so many ways, and there is also a lot of history in the destination to see. With the help of N.C. Cultural Resources and Raleigh Historic, we put together a list of Greater Raleigh&apos;s oldest sites. Many are open to the public for tours, and those that are not open to the public still make for great photo opps (think Instagram). 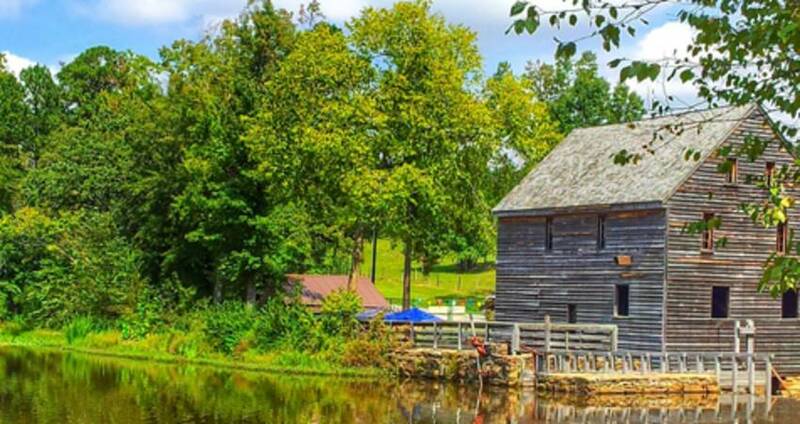 Historic Yates Mill stands on a mill site in operation since ca. 1761 and part of the current mill may date to that time. The frame mill includes a number of generations of construction throughout the 19th and 20th centuries and gets its name from Phares Yates, who operated the mill from 1869 to 1948. The mill has been restored and now sits on a 174-acre county park. Learn more. Built ca. 1770 by Joel Lane, an early settler of Wake County, the house is known as the birthplace of Raleigh as Joel Lane sold to the State of N.C. 1,000 acres of his plantation for the establishment of the capital city. The house was moved one-half block to its current site in 1913. 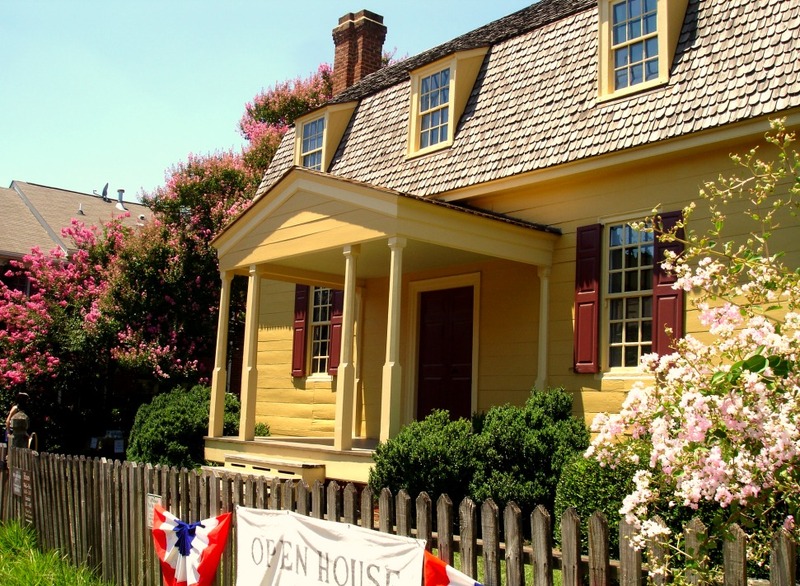 In the winter months, the Joel Lane Museum House is open for tours on Sat. afternoons, with set times on the hour from 1-3pm. Beginning in Mar., tours are available Wed.-Sat. with special group tours on Sun. Learn more. The Lane-Bennett House, also known as the Joe Bennett House, is a small, beautifully-finished Georgian-style house constructed in 1775 for Joseph Lane, the brother of Joel Lane, and was home to the Bennett family after the Civil War. In recent years it was enlarged with a small wing on the east gable end of the house. This house is now a private residence. This home is in the heart of downtown Raleigh and was once the site of Greater Raleigh&apos;s largest plantations. It is also the birthplace of 17th President Andrew Johnson. Joel Lane built a one-and-a-half-story hall-parlor plan house for his son Henry in 1775, and in 1826, Henry&apos;s daughter, Nancy Lane Mordecai, added the two-story Greek Revival-style section featuring a handsome two-tiered front porch designed by William Nichols, the English-born architect who had designed the State House (predecessor to the current North Carolina State Capitol). This is also the site of the Ellen Mordecai Garden. Learn more. John Haywood, a long-time Treasurer of the State of N.C. during the late 18th and early 19th century, began construction of this fine Federal-style house ca. 1800 and its elaborate interior woodwork showcases the early architecture of the state. The house museum contains family portraits, original furnishings and a permanent doll collection. The gardens are open all year, and the house is open Mar.-Dec. and is a popular site for weddings. Learn more. Built ca. 1810, the Crabtree Jones House, home of the influential Wake County Jones family, is one of the few remaining early Federal-style plantation houses left in the county. It is distinguished by its well-executed exterior and interior detailing, including marbleized baseboards and a Federal-style mantel with a landscape panel. The house was moved from its original site nearby to the north by Preservation North Carolina in 2014 to save it from demolition. The house is not open to the public. 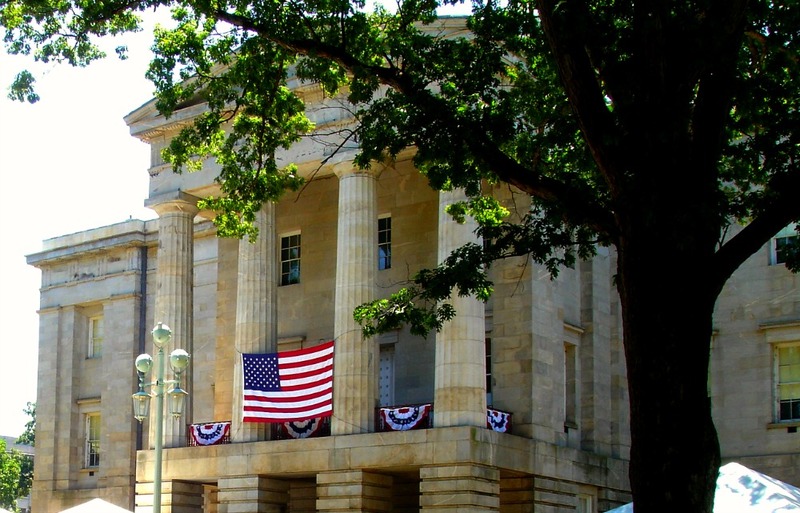 The main branch of the State Bank of N.C., constructed in 1814 to house the bank as well as the banker&apos;s residence, is Raleigh&apos;s only surviving early 19th-century commercial building. The Federal-style building was executed in Flemish-bond brick with matching two-tiered classical porticos. In 1968, it was turned 90 degrees and moved 100 feet southeast from its original site to its current location. The bank is open during normal operating hours of the State Employees Credit Union. Elmwood, built ca. 1813, is a Federal-style side-hall plan dwelling, two rooms deep and two-and-one-half stories tall, with a number of mid-nineteenth-century additions. It was built for John Louis Taylor, chief justice of the state&apos;s first supreme court, and his wife Jane. Originally, the land between the house and Hillsborough St., now occupied by two buildings, was Elmwood&apos;s front lawn. Elmood now serves as private offices. The original portion of the White-Holman House, built ca. 1798, is two stories in a side-hall plan and features stone foundations, modillion cornice and molded weatherboards and window sills that mark it as one of the best houses of its era in the area. In 1896 it was enlarged with the addition of the two-story gable-front wing on the east side of the house. It was moved from 209 E. Morgan St. in 1985. It is private and not open to the public. 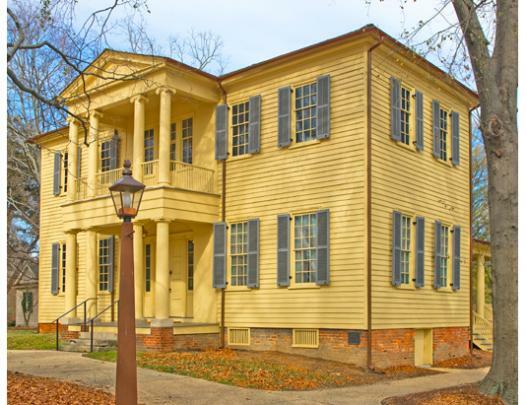 Click here to see a list of even more historic sites in Greater Raleigh.